When you get into a collision, life doesn’t stop. You shouldn’t feel like you are asking for special treatment when you need basic amenities that we feel all customers are entitled to. You deserve to feel like a VIP, especially when you’ve gone through the stress of a car accident. 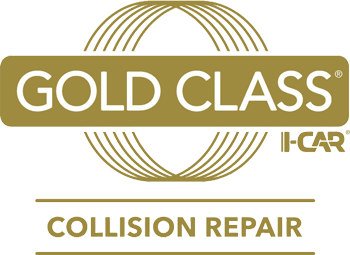 So experience collision repair the D&S way. We understand that you are busy. Life doesn’t stop when your car is in the shop. But at D&S, we take care of our customers by offering premier services that other shops charge for. From vehicle pick-up and delivery to a free wash when the repair is done, you’ll be glad you chose D&S to repair your car in Northeast Ohio. Your schedule doesn’t stop just because you’ve had an accident. We make it easy to drop off your vehicle, and when it is time to pick up, we get you in and out fast. Come to D&S, and we’ll make it easy to get back on the road! We make it simple to get a rental vehicle while your car is in the shop. We partner with Enterprise Rent-A-Car, and they value your business just as we do. We will find out what your insurance will cover for a daily car rental amount while your car is in the shop, and when it is time to return the car we will get you out the door quickly. We’ll even give you a ride to our shop to pick up your vehicle. If you’ve had an accident, you’ve already spent more time than you’d like on the phone with insurance, the police and maybe even medical professionals. The last thing you want to do is stand around in our shop going through tons of paperwork when you drop off your car. Our Express Drop-Off service gets you in and out of the shop in no time, and with no hassle. What good is body repair if your car is dirty when you pick it up? We will have your car all shined up and ready to go when it leaves our shop. Not only that, but we’ll wash your car for free as long as you still have it.